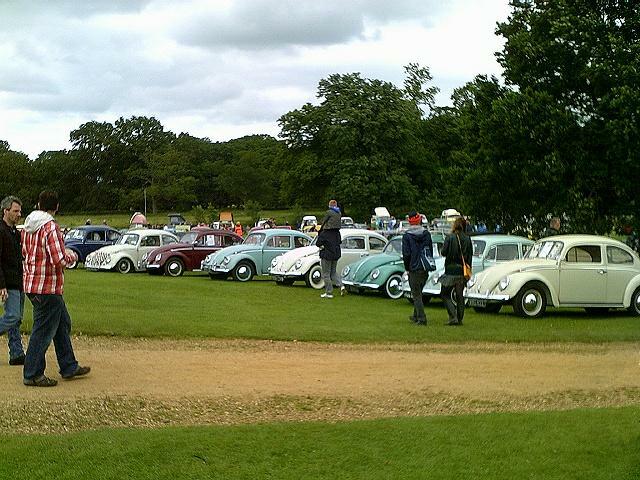 The Leicestershire & Warwickshire VW Owners Club has held their gathering at Stanford Hall on the Sunday of the May Bank Holiday every year since 1976. However, this year the exceptional spring weather cause the postponement of the event for two months. It was rescheduled for 1st July and, despite mixed weather leading up to the date, the grounds had recovered well enough for the show to go ahead. Stanford Hall has been the home of the Cave family since 1430. The present Hall was built in the 1690s and is one of the most exquisite examples of the architecture of the period. Following the failure of my camera at Lavenham the previous weekend, I rushed out and bought a new one. Initial results are disappointing but here are a few that are good enough to share with you. The Hall with a cloudy sky. 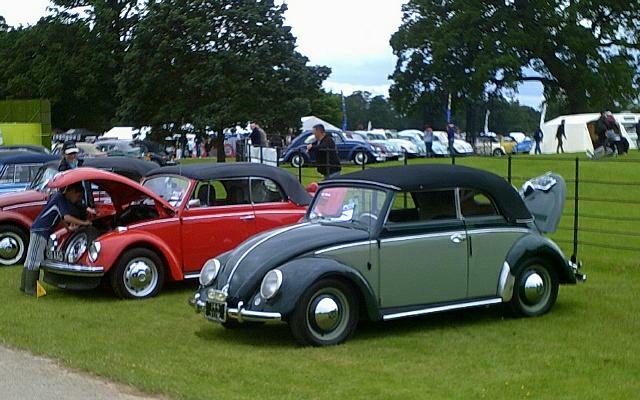 My burgundy red Beetle was included in the line-up on the grass around the area in front of the Hall as usual. 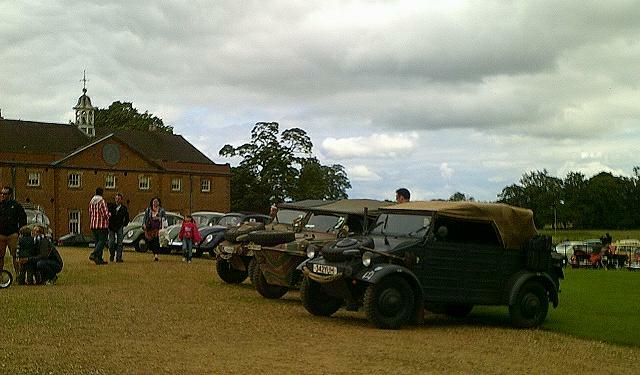 Amongst this year’s inner circle were two Kübelwagens plus a Schwimmwagen. This Karmann Cabriolet was built in 1950 and is believed to be the oldest in the country.